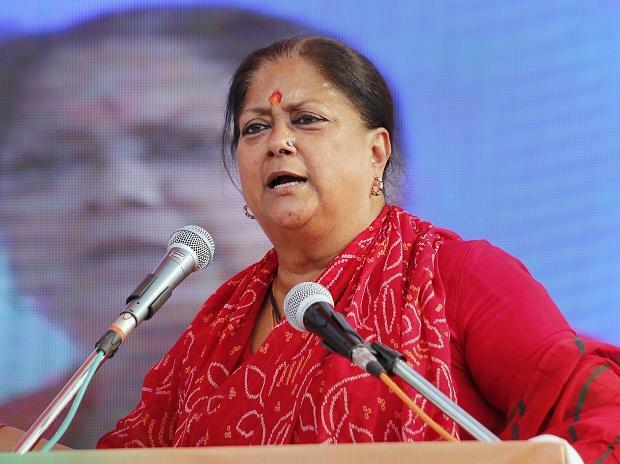 Rajasthan Chief Minister Vasundhara Raje on Friday demanded action against former JD(U) leader Sharad Yadav for body shaming her during an election rally, saying she felt insulted by his comments and the Election Commission must take cognisance. Yadav made personal comments on Raje's appearance, calling her fat and asking people to give her rest, while addressing a rally in Alwar on the last day of campaigning in Rajasthan on Wednesday. I feel insulted. This is the insult of women," Raje told reporters in Jhalawar. adding that she was "absolutely shocked" and did not expect such a comment from an experienced leader. Raje, who is fighting for another term in office, said a leader who had close relations with her family could not control his language. It is important, the chief minister asserted, that the Election Commission takes cognisance of this and sets an example so people don't repeat such a thing in future. A video of Yadav was circulated on social media, with many labelling his comments crass and misogynistic. Calling Raje a daughter of Madhya Pradesh, he said people need to give her some rest as she was very tired. She was thin earlier, and was now fat, he is heard as saying. Raje's sharp response to Yadav's remarks came on a day the state is voting for a new assembly. The votes will be counted on December 11.